Enjoy the luxury side of life whilst on holiday at Bowentown beach, in an Ocean View Park Motel. Our unique location with both a sheltered bay on one side and one of New Zealand's safest surf beaches on the other offers the perfect Waihi Beach accommodation for the whole family. Our unique beachfront location between the ocean and the harbour provides the ideal Waihi Beach accommodation. Check here to see the facilities at Bowentown Beach Holiday Park. We have all the high quality facilities you'd expect from a great family holiday park, including a lovely BBQ area. There is also a spacious games room with prize machines, an air hockey table, a huge flat screen TV and more. The kids will absolutely love it! Take some time to browse through a gallery of photographs of our lovely park, facilities and surroundings. 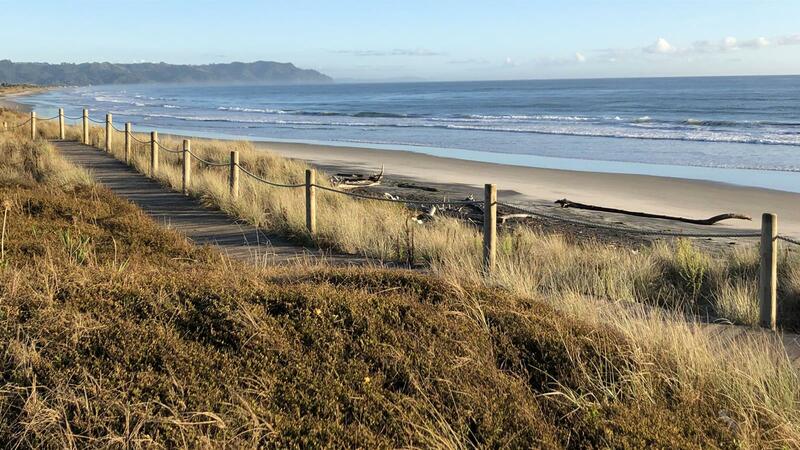 Come and stay with us at Bowentown Beach Holiday Park your 4-Star plus Waihi Beach Accommodation, situated centrally to both the beautiful Bay of Plenty and the scenic Coromandel Peninsula. Our unique beachfront location between the ocean and the harbour provides the ideal Waihi Beach accommodation, with a fantastic range of accommodation types such as Ocean view Park Motels, Studio and Two Bedroom Park Motels, Self Contained Units, Standard and Kitchen Cabins and Powered Caravan and Tent Sites. Bowentown Beach Holiday Park is owned and operated by Kay and Dave Roche. We have been actively involved in the tourism and holiday park business for over 30 years. If there is anything you would like to know during your stay, please do not hesitate to ask. Our team is friendly, flexible and easy to talk to - and we will do everything we can to make your stay at our Waihi Beach accommodation as enjoyable and relaxed as possible. Bowentown Beach Holiday Park is a wonderful place to relax and unwind with plenty of things to see and do. With frequently organised activities such as sandcastle comps, fishing comps and Easter egg hunts and in the summer months we offer a great children's programme. And of course there is always the beach. There are two fantastic beaches at our doorstep, A great surf beach for the adventurous and a secluded calm bay for the relaxed type. Take your pick and play beach cricket, bike, fish, swim and more to your heart's content. Our unique beachfront location between the ocean and the harbour provides the ideal Waihi Beach Accommodation - Enjoy wide open spaces, scenic walks, safe and clean waters, various picnic sites, spectacular bays and of course, beautiful Bay of Plenty beaches. Bowentown Beach Holiday Park is a family-orientated park with friendly service and modern facilities. We have 170 sites and several other Waihi Beach Accommodation options for you to choose from. From Oceanview, Two Bedroom Motels to Standard Cabins. You’ll find lots of great activities, events, places to visit and things to do in the area of Bowentown and Waihi Beach. Whether you want an utterly relaxing break away or an action-packed holiday, Bowentown Beach Holiday Park is the perfect location. Winners of the 2006 AA Spirit of Hospitality Award for excellence in Holiday Park Service and Finalists for the 2009, 2010 ,2013 and 2014 AA Spirit of Hospitality Award! IMPRESSIONS FROM OUR DELIGHTED GUESTS! What an awesome holiday park. Never experienced such a clean and tidy holiday park. Two beautiful beaches right on your doorstep, a nice calm beautiful pohutakawa tree lined bay on one side which is great for kids and the more waves beach on the otherside was excellent. Fantastic for families or couples. Loved it.